78 cards in a small blue drawstring pouch. 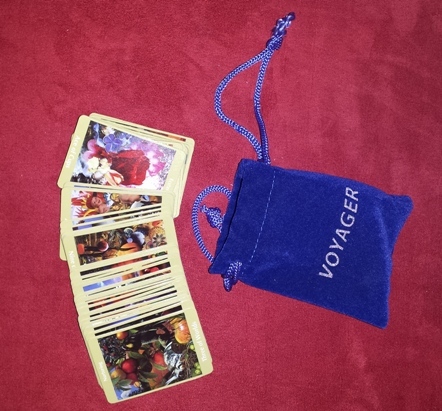 This is a mini version of the Voyager tarot. 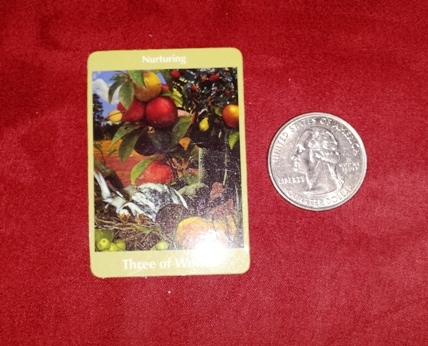 The card stock is wonderfully flexible for such a small deck, and has a glossy coating. The back design is fully reversible. 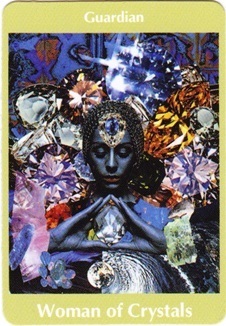 Suits are Wands, Worlds (Pentacles), Cups, and Crystals (Swords). Courts are Sage, Child, Woman, and Man. Balance (Justice) is 8 and Strength is 11. The Fool-Child is numbered 0. The minors are scenic, but not in the usual sense. 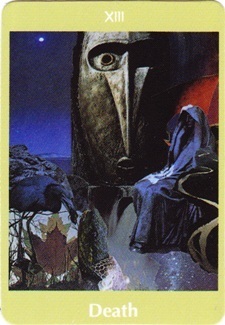 The deck's art style is digital collage, and overall this deck has its own system, though some Thoth influence can be seen in the naming of the major arcana -- for instance, XIV is Art and XXI is the Universe. 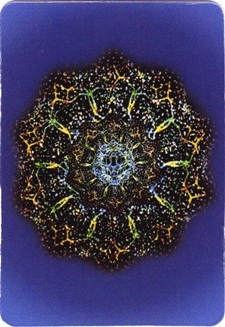 Further evidence of a Thoth influence is seen in the titles on the minor arcana. The art, though -- the art here is really "doing its own thing." I purchased my copy for $15 USD on March 16, 2013. 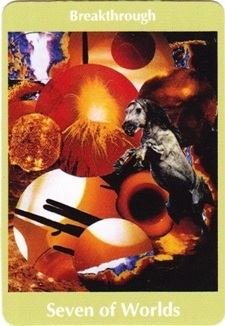 James Wanless, “Baby Voyager Intuition Cards,” The Osborne Tarot Collection, accessed April 21, 2019, http://tarot.zerosummer.org/items/show/285.